[N.A!] 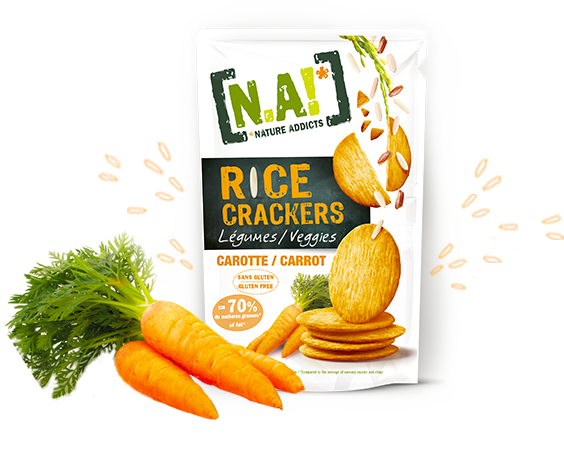 has created the veggie range: delicious Rice Crackers with carrot and 70% less fat than the average snacks and crisps on the market. Give in to the sweet tender taste of carrot! Go green with [N.A!] and, for even more enjoyment, why not dip them in your favourite sauces! 70g of delicious and crispy crackers with rice selected in Thailand. May contain traces of milk, crustaceans and fish.